The most straightforward test recipe for carp fishing is ordinary bread, mashed in the hand. Adding some flavour (vanilla or anise, for example), dipping it into canned corn juice improves its properties. There is a considerable number of recipes from soggy cereal (cornflakes). Also, most dry food for animals and humans (Strawberry Mini Wheats, Corn Flakes, Pop Corn, Oatmeal, Rye Krisp, etc.) 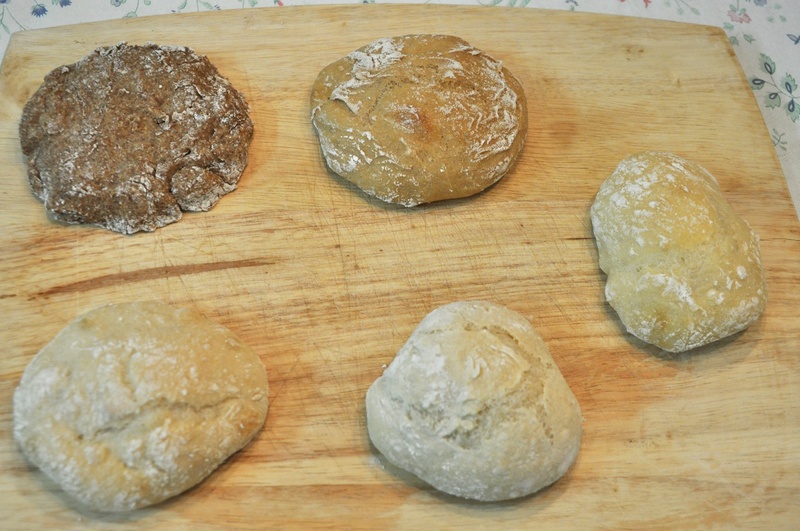 ground and adding water will turn into a perfect dough. A ready-made mixture for biscuits can be an ideal bait, in itself and a mix with other ingredients. Sometimes you can find a ready-made batter in fishing shops. But carp is too smart and does not want to eat the same old food regularly. Thus, anglers do not have anything else left to do, but to find their test recipes. You can buy most of the ingredients for the dough in stores – cooking, groceries, healthy food. The main recipe is one glass of ground oat flakes, and two cups of boiling water. Then start adding the other ingredients, selecting the number of dry and wet components as indicated in the recipe. Note: You can store cornballs in the refrigerator before use for 1 to 3 weeks. Do not freeze corn flour dough – it will become wet and loose, and unsuitable for use on the hook. Boil one pint of water (0.5 litres) in a saucepan. Mix two cups of quick-dissolving ground oatmeal with one glass of plain flour in a bowl. To the boiling water, add the floor of the gelatin bag. Reduce heat, and add two tablespoons of sugar and one vanilla sugar. Cover the surface of the water with a dry mixture. Bubbles will start to break out. Cover them again with a combination. Repeat this operation until the entire dry mix has run out. Stir well for 30 seconds. Remove the pan from heat and dump the dough onto the foil, begin kneading the dough when it’s cool enough, then roll the ball, wrap it in foil and put it in the fridge. Sift cornflour into boiling water, stir and cook until you obtain a viscous mass. Add the sugar and cover well. After a few hours, mix the cooled porridge with white bread pulp in a 2:1 ratio, and knead well. You can use this porridge when fishing in calm waters. Add a glass of sugar to two glasses of boiling water, and to the resulting syrup gradually (stirring) add the corn flour. Knead the instant porridge. It’s a good idea to add some vanilla. Add a glass of corn flour to a saucepan with three glasses of water, pour a glass of corn flour and 4-5 spoons of sunflower meal. When the porridge boils, roll out a layer of up to 10 mm, and then, sprinkle with wheat flour, and put under pressure. Keep it this way until it is completely cool. Before fishing, cut the porridge into pieces of the size you require. Mix: One cup of water, one and a half teaspoons of vanilla, one teaspoon of honey and four teaspoons of sugar in a saucepan at a minimum heat. When the mixture boils, gently add one cup of corn. Quickly, stir the mixture for 3 minutes until it turns into a homogeneous dough. Put it on a chopping board. Press the dough with another board, and let it sit for 1-2 minutes, then turn over and leave for another 2 minutes. Pack in a storage bag. Mix: two cups of flour, two cups of instant oatmeal (Quaker), and two cups of water. Put everything into a pan and stir. Add one tablespoon of vanilla, four tablespoons of syrup, and sprinkle with cinnamon. Cook further and stir until you obtain a dense mass. To check if it is ready, tear off a piece of dough, make a ball and throw it on the floor. If it does not jump at 5-10 cm height, then cook more for more time. Boil three cups of water. Add three tablespoons of strawberry jelly powder, then, stirring, add two cups of cornmeal and a glass of wheat flour. Now, reduce the heat and stir for 5 minutes. Refrigerate before packing. Ingredients: 1 kg of breadcrumbs, 250 g of oat flakes, canned corn, margarine, honey. Put all the ingredients in a bowl. (You can crush the corn beforehand). In this case, the dough will smell more intensively and will not decay so quickly. 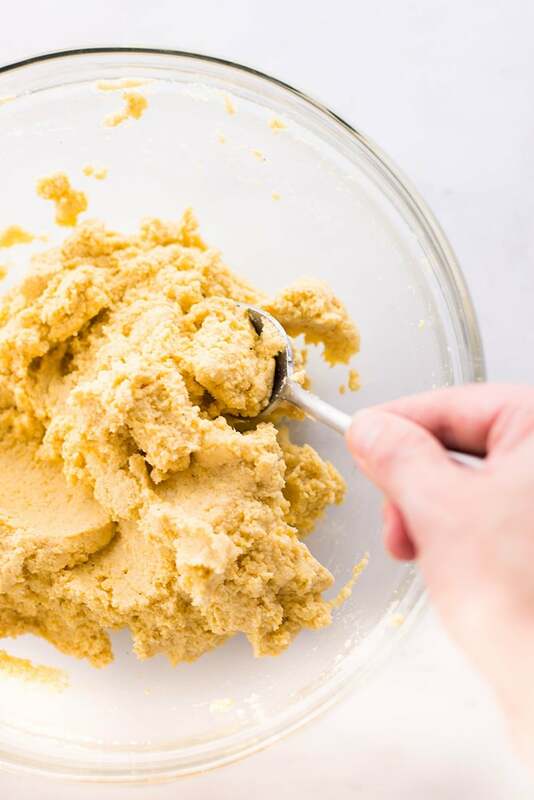 Stir everything and add water in small portions until the last dry lump disappears, and the dough acquires the desired density. Then add a tablespoon of margarine and knead thoroughly until the dough is covered with a glossy layer that protects it from the water. Now, form large balls with the dough, and put some honey on them (preferably shortly before fishing). Ingredients: 1 kg of breadcrumbs, 250 g of oatmeal, two slices of toasted bread, canned corn, the liquid left after frying, garlic, margarine. Proceed as in recipe one, but only that in the water for dilution, add a tablespoon of the liquid formed during frying, and two crushed cloves of garlic. The slices of toast loosen the dough. Remove the roasted crust with a knife, soak the bread in water and knead it together with the breading flour. The similar mixture is suitable for cold environments. Ingredients: 1 kg of breadcrumbs, three stale muffins, a jar of green peas, margarine, honey. Repeat as described in recipe one, the only difference is that you use peas instead of corn, and three stale buns instead of oatmeal, and allow them to lie down for a few minutes in water so that they absorb the moisture completely. Then wrap in a towel, wring out and mix with the breading flour. Apply on ponds where you had a sad experience with corn. All of the above recipes do not even cover the tip of the giant iceberg of methods for the carp test. There are a vast number of ingredients, such as crushed grains, sweeteners, and branded fragrances. Everything from rice flour and various kinds of rye, wheat, corn flour. Because these fish are delicate and selective, the best solution is to experiment with your own recipes when it comes to fishing. As we know, soft bread with flavour is the most popular and most straightforward recipe. 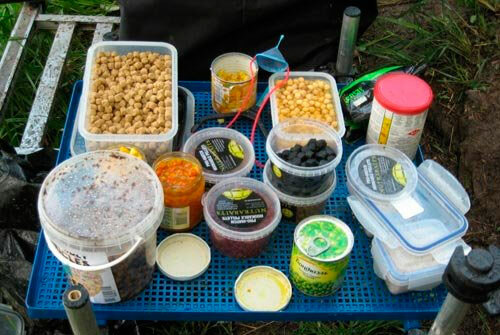 However, there are some possibilities of baits to make and try right on the shore. There are lots of methods based on cereal and porridge. Here, we share some excellent recipes to work, though, in fact, they are a few from a vast number of methods. These recipes use water, oatmeal, corn, peas, flour, vanilla, sugar, honey, jelly, bread-crumbs, and even cinnamon. All natural and easy to get ingredients. The cooking method is very similar in each recipe, so, beginning from this, you may experiment using different components or replacing the original ones. Please, remember that you can put the baits in the fridge when possible and necessary.